Can’t believe it’s been over one year since I stepped into the shoes of Area Youth Coordinator and over a year of coaching the White Spider Squad. 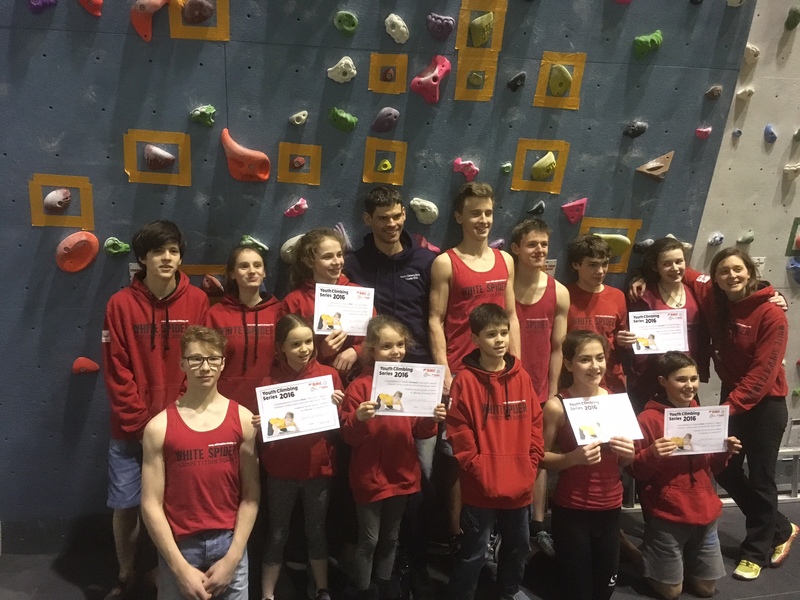 A lot’s happened in that time, we’ve our first Squad member in the British Junior Bouldering Team with Imogen Horrocks and had some of our best results ever at Junior Open competitions, both in Lead and in Bouldering. 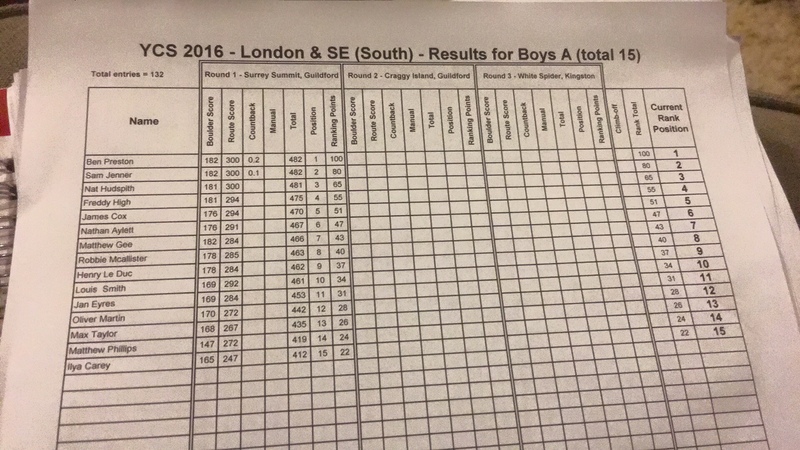 But it’s YCS time again and the first round was upon us at Surrey Summit on 23rd of January. 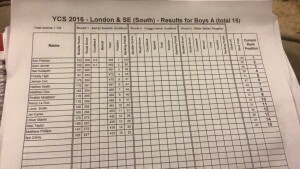 London and the South East (South) region is the biggest YCS in the country, almost double most of the other regions with 132 entries, we also have some of the largest categories with over 20 entries in both boys C and boys D! Luckily I’ve got the very capable Tanya Sage helping me as Area Youth Coordinator and the BMC’s Chief Judge Mark Alderson looking after the judging. We couldn’t have hoped for a better team. This was also going to be an important YCS for the White Spider Squad with me and Belinda upping the training and working hard to iron out technical, physical and psychological weaknesses the squad was looking good and ready to go. With 16 entered we had all fingers crossed for amazing event. Somehow we managed to get the event started on time with fantastic support from parents helping out with judging and chaperoning and Imogen and Izzie demoing the routes. 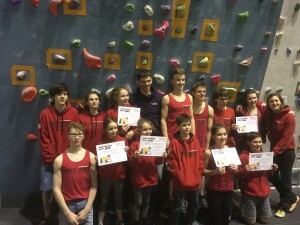 It was evident form the beginning that the squad was doing well, both on the bouldering and the Lead / roped climbing. But how well, in Girls E it came down to a climb off for Lucy to try and get first place, but a huge reach stopped her near the top of the climb and she had to be happy with 2nd, Lia doing amazingly to get 3rd place just behind her. In Girls D it came down to Ella’s final boulder problem to secure the win after an excellent performance on the ropes, being the only competitor to top all 3 routes. In Boys C Chris was in the top 3 throughout the competition, but needed to finish the last route to win, requiring a dynamic throw off a tiny crimp. This must have been the highlight of the competition as he launched and latched the finishing hold taking first. In Girls C Beth also had an outstanding round finishing 3rd and it was great to see her back on the podium. Girls B had two of our strongest competitors in it with Lucy and Holly definitely competing for places on the podium. The leading saw Holly in joint first with Lucy 1 point behind. 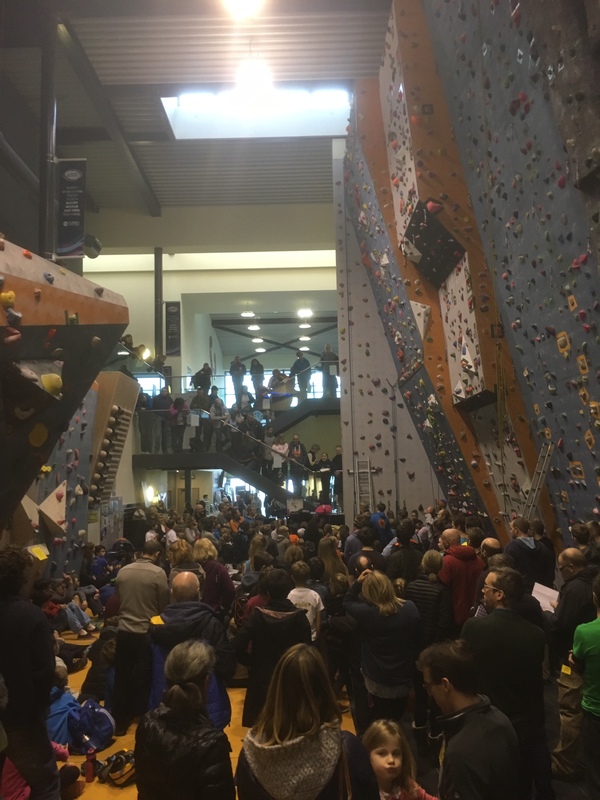 In the Bouldering an inspirational performance from Lucy saw her pull ahead from the field to take first with a score that would have won her the bouldering in Boys B and 3rd overall in the Boys B category. Holly climbed amazingly to take 2nd. Finally Boys A, we had the largest number of entries in this category and with both Nat and Freddy climbing superbly had a high hope of podiums. But this is one of the toughest categories with the hardest routes and boulder problems. After the bouldering both Nat and Freddy where in joint 3rd, one point behind the two in Joint first. It all came down to the routes with Nat putting in a perfect score he managed to secure 3rd place, with Freddy only just behind. Very Happy White Spider Squad after 8 podiums at the YCS. This was amazing finish with 8 podiums from 16 entries, two incredible 4th places from Freddy and Alice and brilliant performances from the whole squad. The next round is at Craggy Island on 27th April, with only the top 3 from all the rounds going through to the final at Ratho this is going to be an important round!